Prospective Staffer: Dave, thanks for taking a few minutes to talk. Dave Schiff: Sure thing! It is very important to choose your summer work carefully. On the one hand, you need an opportunity to recharge your batteries before you go back to school and on the other, you want to build your resume and gain valuable life experience. I’m thrilled to talk with you about becoming a summer camp counselor because I think a position at a boys’ summer camp fulfills both of those requirements perfectly. 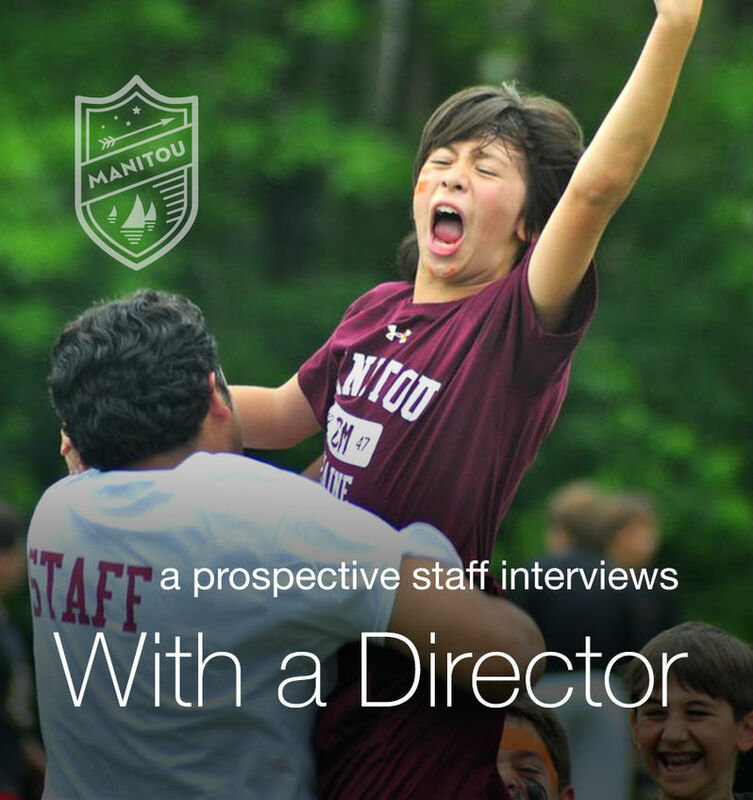 Prospect: First of all, where is Camp Manitou? Dave: Manitou is five miles from Waterville, Maine, a college town with lots of recreational and social opportunities. Manitou is a three-hour drive from Boston, an hour’s drive from Bangor Intl. Airport, and an hour’s drive from Portland Intl. Airport. Prospect: How do I get to camp? Dave: When we send your contract it will include reimbursement for travel expenses to and from camp. Manitou provides travel to and from the Waterville Bus Station, the Portland Jetport, and Boston’s Logan Airport on a designated day. You may drive your own car to camp if you want. Prospect: What about the people I’ll be working with? Where do your staff members come from? Dave: About 70% of our staff come from the United States and 30% from overseas. International counselors typically come from Canada, Australia, New Zealand, England, Ireland, Spain, and France. Manitou provides travel to and from the Waterville Bus Station, the Portland Jetport, and Boston’s Logan Airport on a designated day. You may also drive your own car to camp if you want to.